Yesterday was one of the best night in Isco's career. The Madrid man was everywhere on the pitch for Spain. The Madrid man has become a key man under Spain coach Lopetegui but in Madrid is another story as he is always on the bench and Zidane prefers Marco Asensio and Lucas Vazquez to him. But yesterday Isco prove he still has the vibe in him by netting a hattrick as Spain hammered a Messiless Argentina. "With Madrid, I do not have the confidence that a player needs, maybe the problem is me, that I have not won Zidane's confidence with the good players there." "When you don't play a leading role or have continuity in your club team, the games with the national team give me life"
"I have the confidence of the coach here, I still have a lot of enthusiasm to work, to improve, to be a starter for my club and in the national team." "I feel that I'm at the beginning and I want to show that I am a good player." Both two EPL side Tottenham Hotspur and Manchester City are interested in signing Isco. 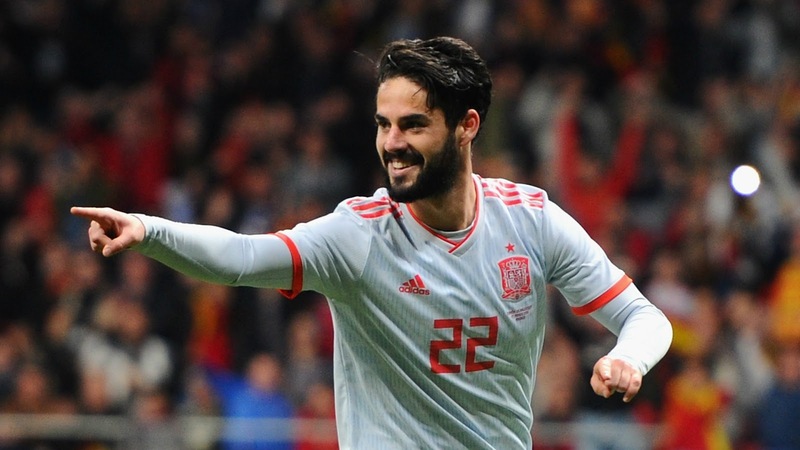 Do you think Zidane has not shown faith in Isco?